Description: Lama Kunga Rinpoche will return to Ewam Choden. Lama Kunga Rinpoche kindly bestowed the Hevajra Blessing Empowerment (prerequisite for 13 Golden Dharamas, if not previously received by Sakya Lama). at 7pm on Thurs., Sep 23. 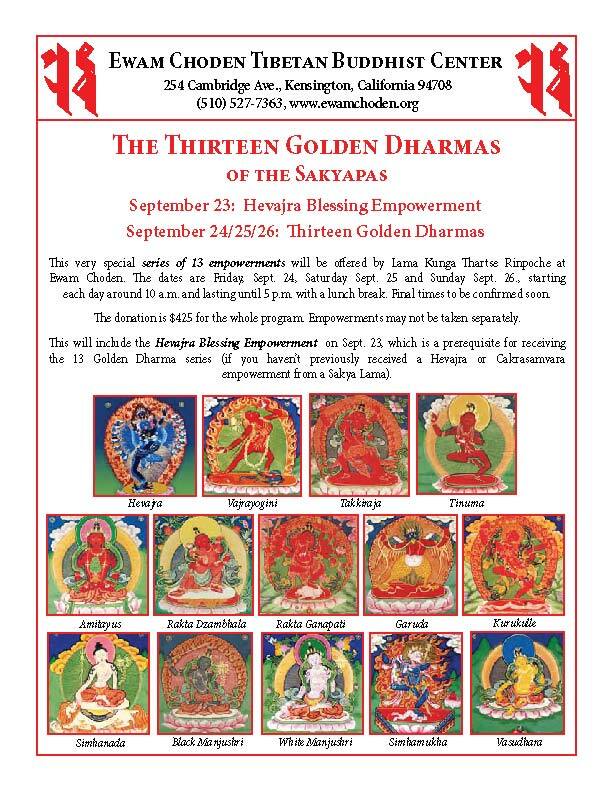 This very special series of 13 empowerments over a three-day period was offered and successfully completed by Lama Kunga Rinpoche on Friday, Sept. 24, Saturday Sept. 25 and Sunday Sept. 26. The third of the three empowerment series known as Rigsum Gonpo, Blue-jacketed Vajrapani embodies the strength or will of the Buddha. 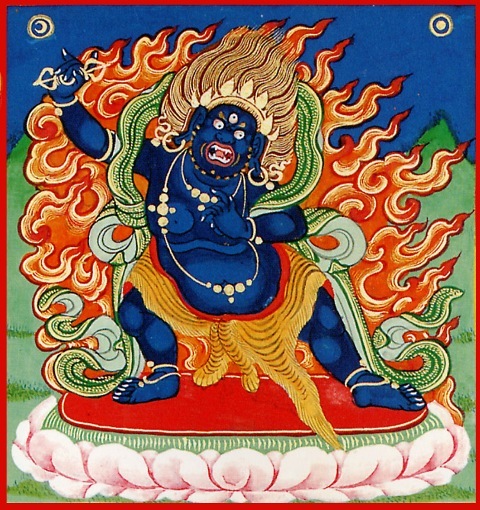 Lama Kunga Rinpoche kindly bestowed the empowerment of Avalokiteshvara, Bodhisattva of Compassion at Ewam Choden on Sunday, May 23rd, at 1:00 p.m.
understanding and connection to this very essential Bodhisattva. While the empowerment begins at 1:00 p.m., we ask you arrive by 12:30 for registration. We request a donation of $30 for this empowerment, with dana (offering) to the lama being separate. Lama Kunga Rinpoche kindly bestowed the empowerment of Orange Manjushri, Bodhisattva of wisdom. 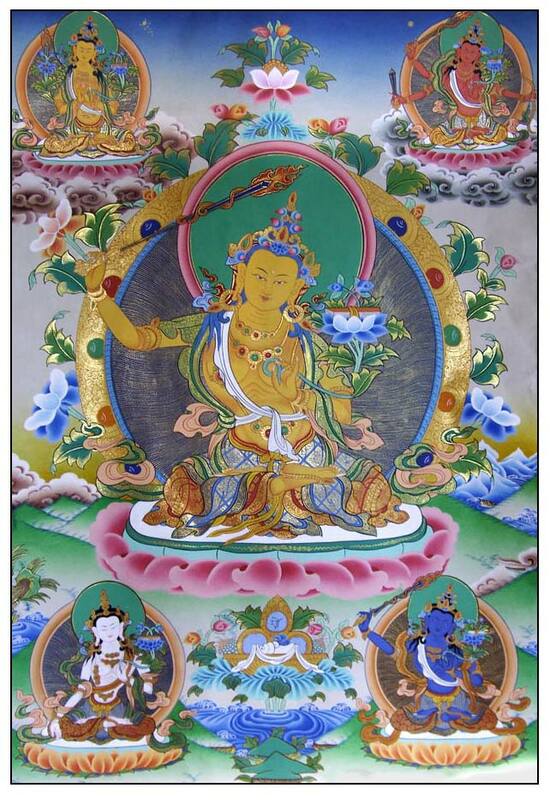 Description: Lama Kunga Rinpoche will kindly bestow the empowerment of Avalokiteshvara, Bodhisattva of Compassion.